A screenshot from some recent GoPro footage. 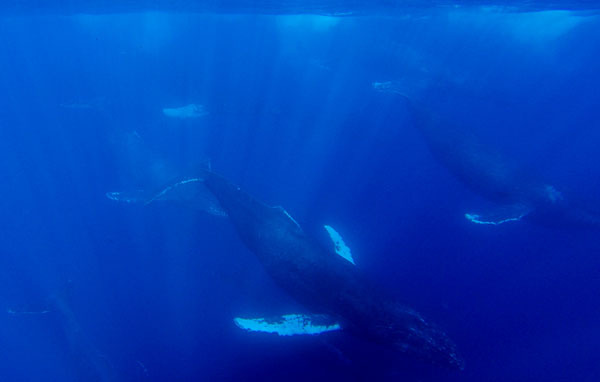 There was at least ten male humpbacks following a female and battle each other for position. I count seven in the image. Amazing to see. Time to start doing more video editing!